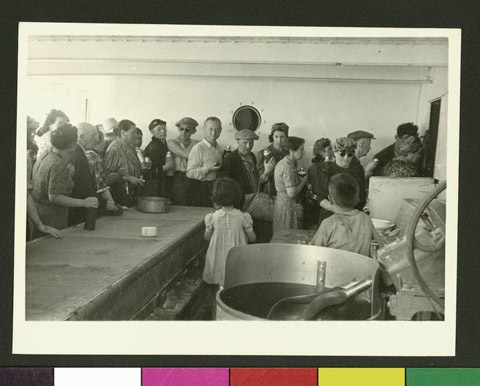 JDC - Archives : Refugees waiting in line for water aboard a ship. Search > Search Results > Refugees waiting in line for water aboard a ship. Title Refugees waiting in line for water aboard a ship. Description Refugees waiting in line for water aboard a ship.